The persistence of torture is enough to condemn modern civilization, the human race, and any conception of a just God. Any thinking, feeling human being should be ashamed at what is done, and appalled at the perversion and obscenity and stupidity that it requires, and outraged at those who fabricate lies and evasions to excuse what is always a deliberate act of horror. It’s pitiful that there is even need to say so, and because discussion of the topic involves facing evil while risking rationalization, good people might be loathe to consider how torture can be exposed, documented, and brought to public attention and so perhaps to justice. The problem is compounded by the irony that so much of the damage done need not be visible. The ratio between harm and evidence of harm may be greater with torture than with any other form of violence, not least because of the cleverness expended in devising techniques for causing pain without leaving physical scars (American citizens might want to to think of waterboarding and sleep deprivation, for example). This is why the images collected by German radiologist Hermann Vogel provide eloquent testimony to the continuing agony and shame. 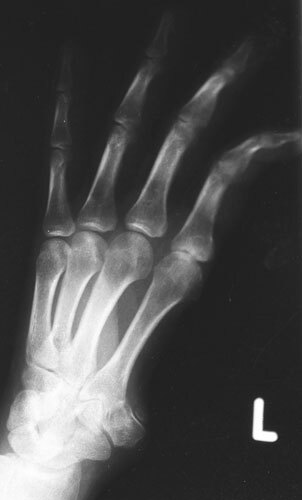 This is an X-ray of the hand of a victim from Kurdistan; after hanging from his fingers for far too long, the thumb had to be amputated. (“Clearly the work of amateurs,” a seasoned torturer might say.) I find the image to be at once beautiful and heartbreaking. The skeletal whiteness against the black void signifies a deep vulnerability, as we are at once creatures of light and yet so easily ghosted away into the void. The delicately elongated fingers suggest the incredible sensitivity of which a human hand is capable–one can easily imagine these fingers creating gorgeous music at the piano, or making an intricate ornamental pattern on paper, or gently stroking a lover’s face. All that was turned against the poor soul, however, as the same nerves were made to scream for mercy that never came. And so the missing thumb speaks to a terrible absence, not only of itself, but also of the whole hand, and the whole body and self intact, and everything else that also had to be missing–and was–for evil to occur. The X-ray reveals the permanent deformity produced when the toes of a 14-year-old girl were clamped by ­revolutionary guards in Iran. She was being punished for wearing make-up. Again, there is something touching about the image because it contains both a damaged body and a suggestion of the beauty that was broken. Perhaps the crooked foot suggests the awkwardness of the teenage years, and certainly the blue and white hue evokes the color of a young woman’s clothes and love of life. (These images obviously work in tandem with our foreknowledge of the victim’s circumstances, but that is hardly unusual.) And again, the part less damaged is still suffused with light, while the brokenness blends into the dark beyond. These images not only provide indexical signs of violence, they capture what is at stake in torture, which is nothing less than a war on all that is beautiful about human life. It seems that evidence of trauma depends on assumptions about the formal integrity and right proportions of the human body that might be subject to criticism in some academic forums. That indites no one, but it is a reminder that, on the one hand, ethical judgments can depend on aesthetic perception and visual evidence can extend well beyond factual verification, and, on the other hand, that nothing should be taken for granted and there will be reason to develop many other resources in order to press the case against torture. In the meantime, however, one might appreciate the irony that these X-ray images, of all things, can evoke an emotional responsiveness essential to acknowledging the inhumanity of torture. In the final analysis, these photographs may be seen more as art than as evidence, but they could be all the more important for that. Photographs collected by Hermann Vogel. The intergration of photography into the practices of science is seeing into new relms that wouldnt be realized in powerful ways without nineteenth century image techniques such as the x-ray. This allows us to see the body’s interior to be visually rendered. Here science promotes the concept of images seeing truths beyond the human eye and like you said, it makes this as evidence that torture does exist factually. Images like this x-ray can simply demonstrate the truth that lies hidden in internal structures of the body that scientific representational techniques can uncover. This photo strongly points to the fact that torture darkens life of bright human beings. However, I think this image can also speak to it’s audience that you can try to make beauty of life dissapear by torture and pain, but we as humans can still survive and keep going on with life. No matter what devastating things can occur to the beauty of life, you can pick yourself up and continue to live. The use of science to display a painful yet beautiful image is what defines this photo. The history of this photo is what gave me the appreciation of science and art intertwined. The human body is so delicate and precious. In this photo the image pronounces the sadness and torture that this 14 year girl went through because she did not agree with the Islamic Regimes restrictions. The Regime endorsed conservative and religion driven regulations that as country not all agreed with. The democracy of this nation is non- existent due to the powers that impose only their beliefs for the country. I agree with the notion that the broken toes represent hardship in this girls life and the scars that will never let her forget what she went through, because her foot will remind her everyday. This article and the images displayed in it are disturbing to me for several reasons. I do not consider myself a naive person. I do know that capitalistic societies and communistic views still exist in our world and with those politcal ideologies comes informal soceital differences to us as Americans. The fact that torcher is still utilized as a daily form of punishment in some countires is just unacceptable and frankly sickening to me. In the introductory paragraph, the author wrote that torture is “always a deliberate act of horror” and I could not agree more. 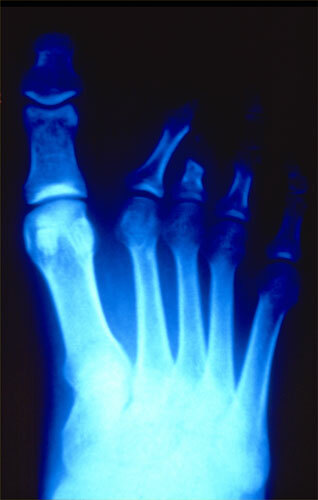 These X-rays of a mans hand and a girls foot represent not just violence but a lifechanging image. I can only imagine the psychological effects that this behavior could alter a persons life, and even still I can’t even come close to understanding the reality of it. These images represent, as Roxana said, a constant reminder of horrific experiences that both of these individuals underwent and are probably going to be forever traumatized by.